Gloria Nihart is a powerhouse artist and songwriter for gospel music across the country! She travels across the country ministering at nursing homes, fairs, funerals, weddings, churches and Christian events. Her music is being played on radio in several countries, including Australia, Belgium, Japan and Spain, and through most of the continental US, including Alaska, Iowa, Kansas, Kentucky, the Carolinas, Tennessee and Texas!. Gloria was born and raised in Minnesota by believing parents. Growing up, she sang with her family in churches and nursing homes, and in her early 20's, she met the Lord and was born again and baptized. She branched out on her own singing and writing music, and to date, has written over 800 songs. Gloria has been named the American Christian Music Association's (ACMA) Soloist of the Year and her CD project, A Long Time Ago, was named the ACMA Project of the Year. She is also the winner of the Regional Rural Roots Music Award presented by the National Traditional Country Music Association. She has recorded four CD projects, with the fourth, her first Christmas CD, dropping in 2018. 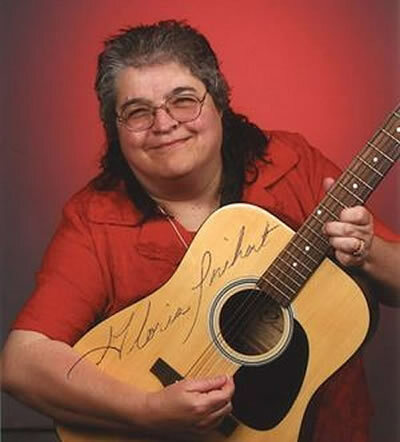 Gloria was influenced by many Christian and secular music artists, including the late great Dottie Rambo, Annie Herring of Second Chapter of Acts, Cece Winans, Judy Jacobs, Joanne Cash Yates, Lulu Roman, Tricia Brock of Superchick, Stella Parton and others. Gloria has an Associates Degree and served in the National Guard and Reserves. She believes in putting God first in her life and being obedient to Him. Gloria says, "This is what God will do for you if you're obedient to His wishes. Always put Him first in your life every day. Stay with God in His care...our hope for an eternal home in Heaven." She is married toTerry Nihart and has one son, Terrance Nihart. As Gloria says, "My best accomplishment is seeing souls being saved and folks having a change of heart while listening to my music. I thank the Lord for blessing me with the gift of music." If you would like to have this dynamic minstry at your church or family event, contact her using the information in the top right corner of your screen today!